Rob advises businesses and individuals in commercial, construction, and employment disputes and dispute avoidance. He has tried cases throughout the state and federal courts of Texas as well as arbitration hearings . 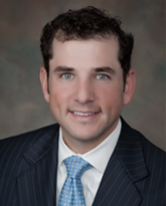 Rob has also appeared in proceedings in Texas appellate courts and has argued in front of the Fifth Circuit Court of Appeals in New Orleans. Rob frequently speaks and writes about employment transition issues including non-compete agreements at www.smoothtransitionslawblog.com.